“I think I’ve got enough shoes” said no one ever! If you’re as crazy about shoes as we are then you will have to agree that you can never have too many pairs. It’s been tough, but we’ve managed to narrow it down to our ultimate must-have styles for this season! Lucky for you, chunky block heels are still right on-trend this summer. They’re the comfiest heels out there and they make your entire wardrobe look super trendy. From dresses to jeans, short-shorts to mini skirts, bold coloured and strappy block heels are going to be our summer saviours at end of year functions and parties. Block heels teamed with boyfriend jeans, a tee shirt and blazer is one of our favourite casual looks. Channel your inner bohemian this summer with the reliable wedge heel. This style that was glorified in the 70’s is making a serious comeback this summer and we couldn’t be happier. They’re a comfortable way to add height to your outfit, and as an added bonus you’ll never have to worry about sinking into the grass at BBQ’s! Synchronise your style with a boho maxi dress and matching accessories. It’s a well-known fact that the high heel is every party girl’s best weapon. This season’s party heels come in classic colours as well as some patterned and floral versions. Getting extra height is easy thanks to the hidden platform, plus it’ll give you ultimate comfort into the wee hours. Pull out all the stops in brightly coloured cocktail dresses during the festive season! Meet our new summer crush, the Espadrille flat! No need to blend in, the woven raffia Espadrille has been reinvented this season with lots of kooky patterns and exciting materials. Slip on with a summer dress or some denim cut off’s for off duty style. These must-have summer shoes are definitely on our wishlist this Christmas. Nothing screams sartorialist style like the women’s albert lace-up shoe. Borrowed from the boys, this seasons style is a girly take on the classic oxford shoe. This versatile lace-up is the perfect option for temperamental New Zealand summer weather too! We love to coordinate our lace-up’s with tapered trousers and a blouse in the latest summer prints and patterns. Channel your preppy side in a pair of practical penny loafers. The loafer trend has been a firm favourite for a while now and we’re reassured that it’s here to stay. Tassels or no tassels, the loafer looks slick teamed with cuffed trousers, a tucked in tee and cardigan. We love to match our loafers with a range of pastel shades for sweet summer style! Salute the summer months with a pair of slip-on slides. The comfortable slide also happens to be the trendiest summer sandal of the season so there is no denying that this style will be your greatest accessory this summer. Bring out your dark side with androgynous and monochrome outfits, or opt for festival chic in pretty prints and patterns. Fall head over heels for the most versatile sandal there is, the heeled sandal. Dressy or casual, the heeled sandal is the perfect combination of laidback and refined style. We adore a chunky ankle strap sandal partnered with a pair of skinnies for easy street style. Throw on a patterned summer dress and you’ll be ready for cocktail hour! We’re completely infatuated with the strap-happy sandals this season! Summer sees the modest sandal being made-over with plenty of exotic fabrics and eye-catching patterns. These swoon-worthy styles are perfect for chilling at the beach in your favourite denim shorts and tee shirt. Step back into a look you won’t regret with the retro sneaker. This season we’ve seen a huge revival of icons, from the Vans Old Skool shoe to the Adidas Stan Smith sneaker. Achieve a minimalist style in black and white short-shorts and a sheer shirt. We’ve definitely reserved a place in our wardrobe for these cool and casual kicks this season. What’s not to love about the slip-on sneaker? It’s comfy, it’s easy to get on and off and it will give you effortless casual style. Available in a range of leathers, colours and patterns, you really can’t go past a pair of classic slip-ons. Get instant street cred paired with your favourite denim and a wide brimmed sunhat. It’s safe to say we’ll be getting one in every colour! The coveted sneaker has been a game changer in the fashion industry. These weekend wonders are not only incredibly comfortable and functional but they’re one of the trendiest casual shoes this season. Team these sportswear silhouettes with casual jeans and chinos, or you can even dress them up with a pleated midi skirt. 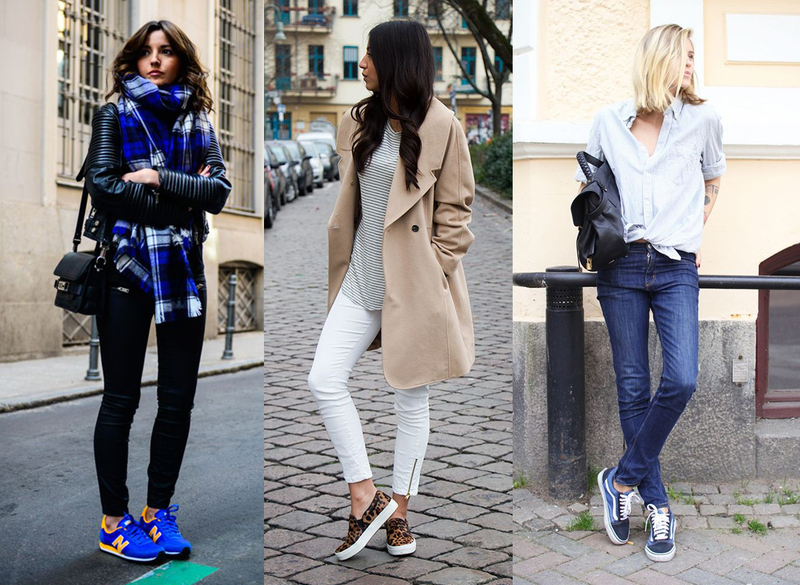 The lovable sneaker is a must-have style. With the party season upon us it’s time to fix up and look sharp in a pair of dress chukka boots. The best thing about leather chukka boots are their versatility, transforming your look from casual to classic in an instant. Be the slickest dude in the room in a pair of lush leather shoes and a hand tailored suit for the up and coming summer events! Originally designed for days at sea, the classic boat shoe has seen a resurgence of popularity this season. Now you can relax and put your feet up in ultimate summer style with these trend heavy casual shoes. Pair perfectly with summer shorts or chinos on your days off. This look is easy to achieve and comfy on those hot summer days. This season we’re going back to the classics and reviving all our favourite styles from the 80’s and 90’s! Sole heavy boots with chunky features in bright colours are making a serious comeback. You’ll be getting some sweet street cred style teamed with a pair of black skinny jeans and a branded tee.